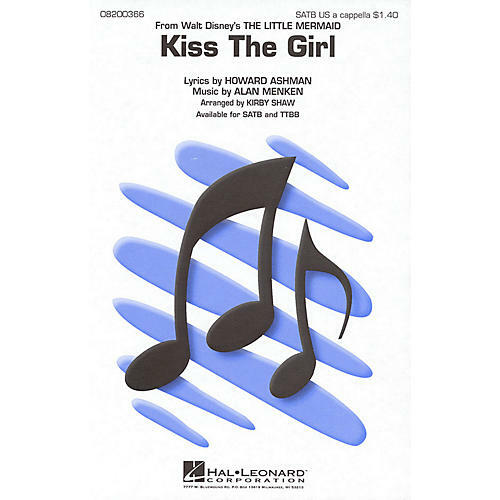 From The Little Mermaid, Kiss The Girl is available in a fantastic a cappella arrangement. Fun Latin rhythms and a variety of vocal inflections make this a great change of pace for any concert! Available: SATB a cappella, TTBB a cappella. Performance Time: Approx. 2:45.